"And, by Jupiter! one of the greatest and noblest [cities] in the whole country! Its splendour is even conspicuous at a distance. And the great river that flows close under its walls"
What is unique about the city of Plovdiv is that human activity has never ceased from the very first time it appeared – some 6 000 years ago – until present day. Although the town of Plovdiv went through various metamorphoses and change of boundaries, Plovdiv continues to be the eternal town of Bulgaria. No match can be found for the atmosphere of the city, which embraces the visitor at first glimpse, due to its centuries-old life and numerous cultural traces. 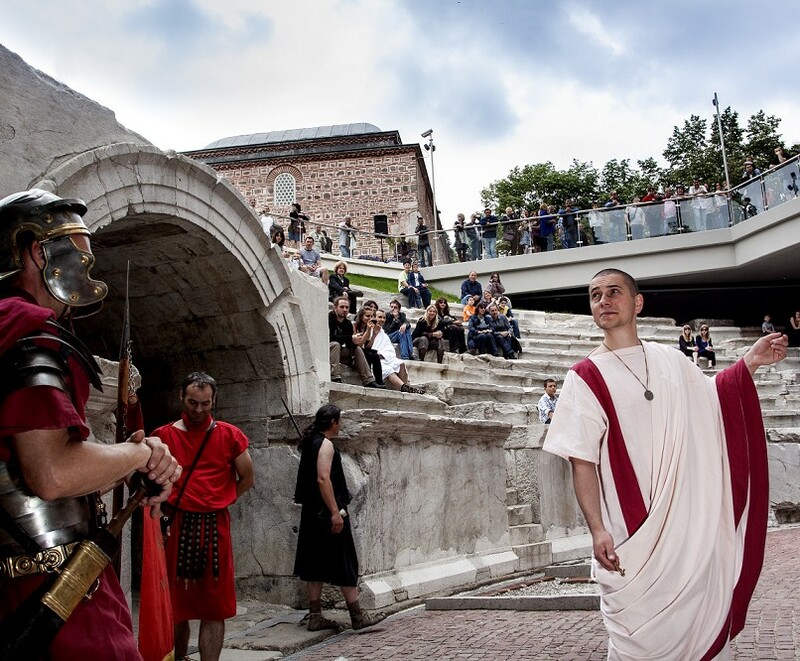 Eumolpia was probably the name of the ancient Thracian city, from which today’s Plovdiv has evolved. The fortified Thracian city developed during the Iron Age on the territory of Nebet tepe. During the 4th century BC Philip II included it in the Macedonian Empire and gave it one of its most popular names – Philippopolis. The town also had the chance to shine and make a name as a direct participant in the formation of Hellenistic culture. In 46 AD the district called Thrace was pronounced a Roman province. As a result the significance of the city, called by the Romans Trimontium, rose even more. This is the historical period that left the greatest impact on the cultural heritage. At first the town evolved mainly on the territory of the so-called Trihalmie (Trimontium) - a massif of three hills – that was the Hellenistic Acropolis of ancient Philippopolis. Certain foundations were uncovered, which are believed to have belonged to the royal palace and the main cult centre. The city in the plain below had derived long before Romans took over. It evolved to the South, South-west and South-east of the Trihalmie. The city layout is based on the famous Hippodamian plan (orthogonal directions of the street infrastructure) which the Romans inherited and further developed.